Dr. Christina Ghaly from the CEO’s office meets today to review with the SAAC directly the proposed report on Consolidation of Health, Mental Health, and Substance Abuse departments. Below for your information and reading is the draft report link. Join the Substance Abuse and Mental Health Services Administration (SAMHSA) tomorrow as it celebrates the 10th Anniversary of National Children’s Mental Health Awareness Day. Since 2005 , Awareness Day has brought national attention to how children, youth, and young adults with behavioral health challenges can demonstrate remarkable resilience when given appropriate services and support. Each year, more than 1,100 communities and 136 national organizations, including Federal programs, participate in this celebration. You, too, can be part of this nationwide movement to focus attention on the importance of children’s mental health from birth. The National Action Alliance for Suicide Prevention (Action Alliance) recently launched the “Your Life Matters!” campaign. During the campaign, the Action Alliance encourages every faith tradition to dedicate one day of worship each year to celebrate life, hope, and reasons to live. Faith traditions can consider observing this celebration near September 10, which is World Suicide Prevention Day. However, the message that each congregant’s life matters could be promoted anytime during the year, whenever it fits the needs of the local faith community. Faith communities are in a unique position to reach a large portion of the millions of Americans who struggle with serious thoughts of suicide each year. Many people feel hopeless or trapped, or are in such emotional pain or despair that they struggle to face another day. Learn More at Your Life Matters! 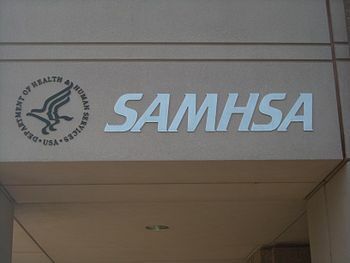 Oh SAMHSA, Where Art Thou?